sgELFs LET'S DO OUR PART TO SUPPORT SJ'S 4JIB!! As you might have probably been aware of, Super Junior will release their 4th album (also known as 4jib album) soon. The boys have been teasing us continuously about it. There is yet to be a confirmation on its release date but we will keep you posted. Now… we are here to gather all international ELFs to offer a helping hand to our friends over in Korea to fund their project of “4Jib Album Promotion”. As they are a bit short in donations, we need your help in collecting them as much and as fast as possible to make this project happen. You will find all the details behind the cut. There has been some sayings about 4jib, and as SJ are expected to make their comback in the early May, we need lots of support from fans~!! This year’s 4jib support is divided into two: Food Support and PR Support. Since SJ will be making their comebacks to all three broadcasting stations (InkiGayo, Music Bank, and Music Core) we need to supply our Super Junior boys, SJ staffs (managers, drivers, coordinators, etc), broadcasting station staff (camera director, lights director etc), and other celebs on the show that day. The food will be full meals and some snacks. Since LeeTeuk, EunHyuk, ShinDong, and HeeChul all have radio programmes, we will be supplying all three radio stations with food as well. Young Street (SBS), Sukira (KBS), and ShimShimTaPa (MBC), so we will be supplying some snacks for our boys, staffs, and guests for that day. The scale of Food support is really big!!! please participate!!! The pictures below are samples of the support for 3rd jib last year. - PR Support will be divided into both ONLINE and OFFLINE. Per 1 bus, they’re on the road about 8 to 12 times per one ride, so on average of one, there will be 780 to 800 people who will see the ad; effect the biggest. The ad will be on buses with large passengers so that it’s not only for fans but general public as well. Regarding the design for bus PR, we’ll upload it ASAP. PR poster: Poster ads is undecided as there has been a lot of suggestions that Poster ad is not as effective in 3jib PR support. ; banners and links will be directed to an online site telling about Super Junior and Super Junior’s fourth album. ; the words you write will be organized and sent to the members along with all the 4jib support goods. this will be at the official SJ support site. The PR support might be cancelled if there aren’t enough donations.. IF YOU WANT OUR BOYS TO BE PRed, THEN PLEASE PARTICIPATE!! Since we want to gather as much as donations as possible, we need a representative from each country to collect donations before sending it to Korea via paypal. PLEASE SPECIFY WHICH COUNTRY YOU’LL BE SENDING MONEY TO. ++SEND US CONFIRMATION CHECK MAILS so that you can check that we’ve got your donations. We need to check off ppl’s names and the amount of money you guys donate. $5.00 US IS MINIMUM AMOUNT FOR THE DONATIONS. We’re trying to gather donations by bank accounts as much as possible (since there are transaction fees when using PayPal) so if you are in Thai, Indonesia, Malaysia, Brunei, Vietnam, Singapore, Canada, Philippines, USA, UK, or Australia, please use the bank account if possible, please. We understand Indonesian, Korean, and English but NO OTHER LANGUAGES. Sorry for the inconvenience. When you see the after notes of the support, you’ll be proud knowing you participated!!! Right now, the support amounts are very LOW. So there is a possibility that PR support might be cancelled. Please participate, just as little as $5.00 US will make support the boys!! 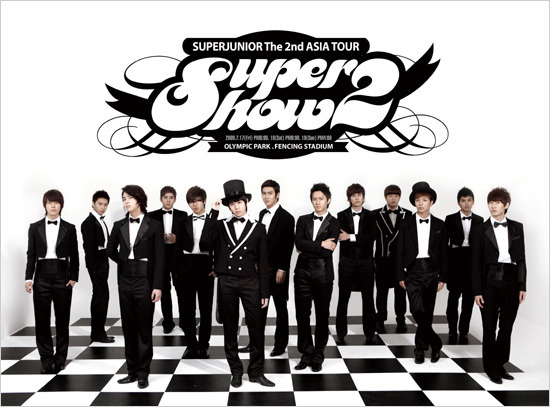 Let’s make 2010 the year of Super Junior !!!!! We are looking for other representatives in other countries who have PayPal and are willing to create bank accounts for the donations, so if you are interested in helping us please fill in the form below and email it to us.